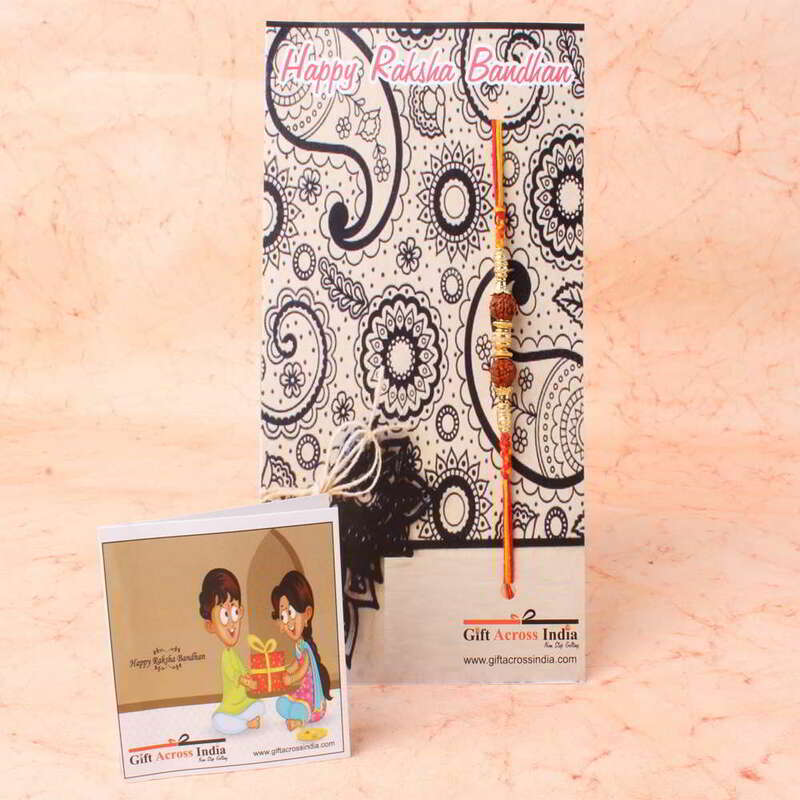 Product Consists: Golden beads Rakhi with Rudraksha nicely tied on a Rakhi Card. 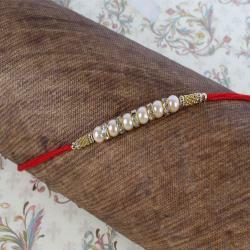 A special gift for your loved ones on the Raksha Bandhan is a raksha thread. Adorn your brothers wrist with this delicately crafted rakhi and make your bond with him even stronger. 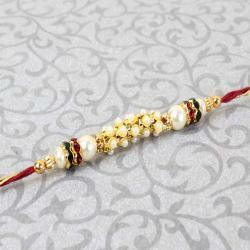 This rakhi contains that special attachment effect with love for your bhai. A beautiful golden bead with rudraksha effect looks amazing. It has an enticing design which will grab the attention of all on its shinny look. These beautiful beads are threaded on a soft string with rich color combination. It will give a firm hold on the wrist and will light up the wrist of your loved one with your love. Giftacrossindia.com gives you the option to send your blessing by this rakhi thread. 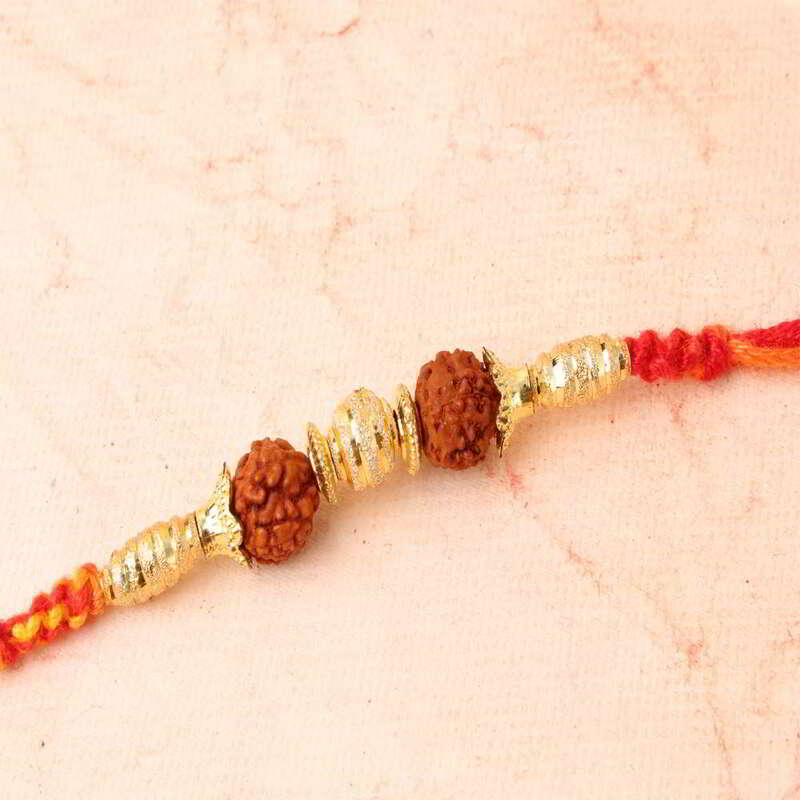 Product Includes: Golden beads Rakhi with Rudraksha nicely tied on a Rakhi Card.